Social Media, Mobile and Voice platforms are changing SEO forever. Are you prepared? We Rock SEO is a search engine optimization company that focuses their efforts in the New York, Philadelphia, Los Angeles and New Jersey Markets. If you have a website, listen to what these guys have to say. It could save your business. The way you market your company determines its success, or lack of it. SEO has always been about the way your web site is set up and how compatible it is with the likes of Google, Bing, Yahoo, etc. These search engines are the lion’s share of how your website will be seen and searched. Configuring them to the requirements these search engines look for are detrimental to your company’s success. Using SEO and finding someone who can successfully do it for you, are viable choices in today’s business world. While getting your website up there on search engines will always remain the best way to get noticed, there are other search platforms that are making waves and changing the way we do SEO. 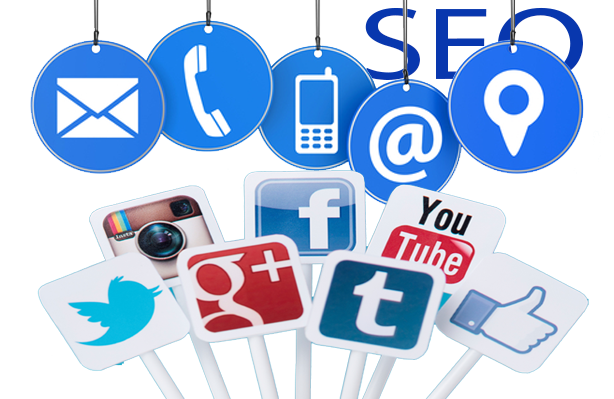 Social Media – People today search in social media on Facebook, Instagram, Twitter and Pinterest. They search by hashtag. They search by emoji. Getting quality social shares is great for your business. Being shared widely on social networks is ideal for the future of your business. Participation in social sharing sites is crucial. By sharing our business on these platforms, you are building up a network that will help spread your content, site and brand. If you don’t have a Twitter account or Facebook Fan Page, you are missing out on all this free advertising. If you’re website was created or rebuilt by WebAuthorings, you have SocialNET incorporated which takes posting on social media to another level. Mobile – As discussed in a previous article, searches with smartphones and tablets are surpassing the traditional medium of desktop and laptop searches. What this means for you is that it is imperative for your website to be mobile friendly. It is the wave of the future and the future is now. Apart from making your website both mobile friendly or responsive to all devices, you need to go a little bit further. You have to consider how your content will appear on a smartphone or tablet before finalizing your website, pages and layouts. You have to have a mobile mindset so that those viewing your site this way will have the some opportunities to view and search your website in the same way a desktop user does. Hiring an SEO company can help you achieve these goals to ensure the best possible mobile friendly site you can have. Voice – With the rise of Apple’s Siri, comes a whole new way to search for something. Voice search changes consumer behavior by moving faster than type search. How you search for something by voice recognition is just as important as how you type into a search engine. Your company has to be relevant to it. Whether typed into a search field or using the spoken word, you have to optimize keywords so that clients can find you in both of these platforms. Clearly, content is key to SEO success. Furthermore, it is critical that this content is relevant, enticing, and original. Businesses that aim to improve their organic search results should have a strategic content marketing plan that aligns to their business goals, fulfills customers’ needs, and engages their audience more deeply. Successful companies use many different types of content to engage their readers, such as blogs, podcasts, videos, webinars and surveys. We Rock SEO doubles the effort at half of the cost compared to other SEO companies. Get with us and we’ll help you reach the top.